Prison in Islamic Republic is tough, very tough. 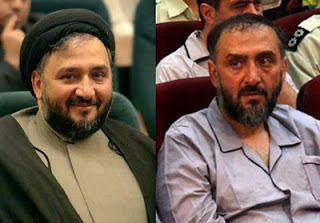 Political prisoners who have been in prison during the Shah's reign and in the last three decades since the Islamic revolution in 1979 have often said, "one day in Islamic Republic prisons was like a whole year in the Shah's prisons". 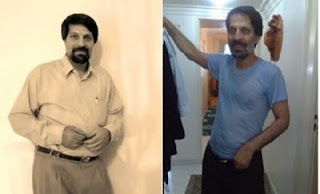 Regime officials and judges always rebuff the complaints about the conditions in Islamic Republic prisons by saying, "prison is not supposed to be a hotel". To demonstrate this point, I wrote this post back in July 2010. It is a pictorial confirmation that the "prisons in Islamic Republic are not hotels"
Again - instead of the Nuclear issue why isn't more done to expose the hypocrisy, travesty and brutality against the way the Regime treats it's own people simply demanding more rights! Always the Islamic Republic seems to get away with condemning abroad what it activity condones and ruthlessly prosecutes at home! Incidentally, on the previous post of also exposing the Regimes ineptitude and stupidity, a Comment actually slipped the net on PressTV's Webpage recently. With Khamenei boasting that Iran is more powerful than ever, someone called Sheila Toovey replied: Not only a murderous cheating oppressive, but totally deluded too! Needless to say this Comment suddenly disappeared within five minutes! Leaving only the usual kiss arse sycophant Comments in it's place instead! Thereby conclusively proving to anyone who caught it, that PressTV is run by nothing more than theocratic Cyber Gestapo! Must be! After all, all the decent journalists are in the Goolag Iranian jails you spoke of! Waybec so right with Press Tv. I lucky to see comment also and were shocked. But it soon go. Maybe now with every lie, censorship, violent hate talk & bigit propoganda for Khomanee and Asad, we should just throw name Sheila Toovey into Press Tv face. What happened to Sheila comment? Yes it proove press Tv are Regreem Nazees! I Indian, so sorry for any bad English..